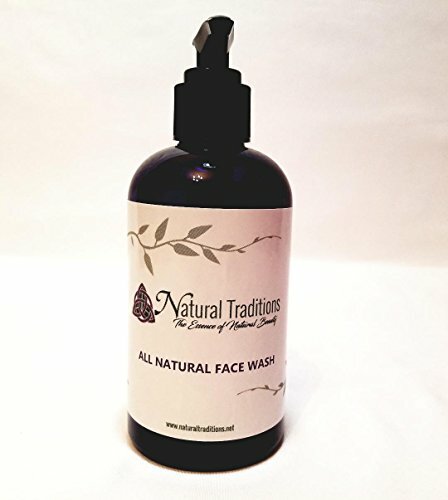 Our all natural facial wash is made with all-natural/organic ingredients and 100% pure, unadulterated essential oils. It leaves your face squeaky clean without drying out your skin. Lavender EO has antiseptic, anti-bacterial properties that clean and heal the skin. Peppermint increases oxygen which can open up the pores for deep cleaning and Melaleuca has strong antiseptic properties for cleaning the skin. This comes in an 8 oz bottle with pump. Ingredients: Distilled water, Pure castile soap, Essential oils of Lavender, Peppermint, and Melaleuca Directions: Use 1-2 pumps of wash and massage into wet skin for 1-2 minutes, avoiding eye area. Rinse completely and pat dry. For best results use AM and PM. If you have any questions about this product by Natural Traditions, contact us by completing and submitting the form below. If you are looking for a specif part number, please include it with your message. By We 2 Sistas "Where Beauty Is Natural"